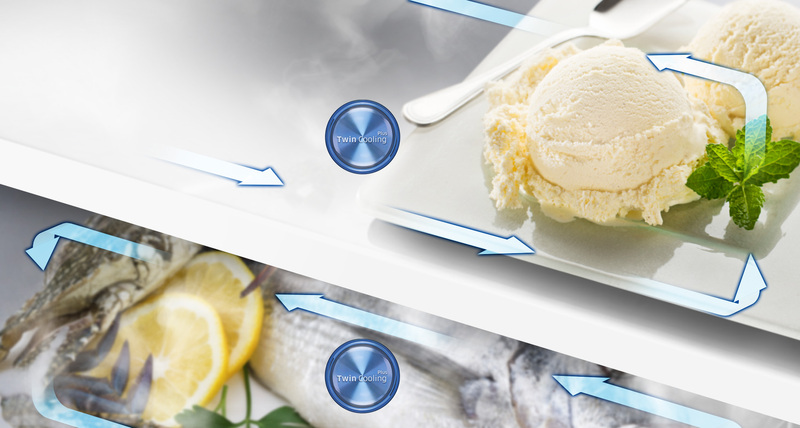 Chill your food in absolute style and efficiency with the Samsung 430L Top Mount Fridge. 5 possible Conversion Modes for flexible storage. 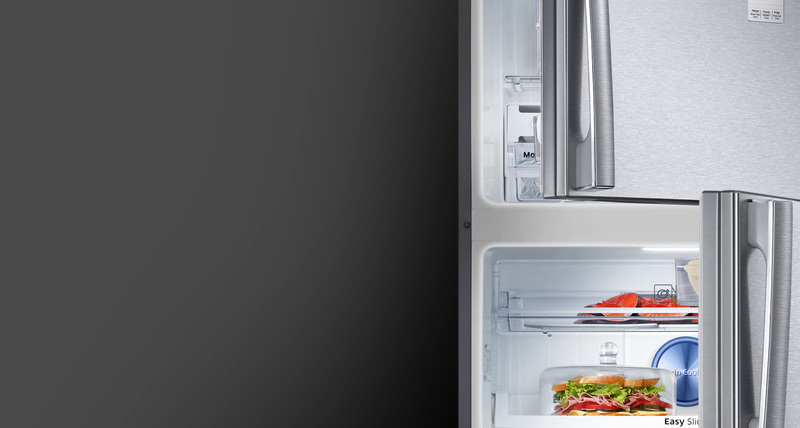 Samsung 430L Top Mount Fridge provides the ultimate in flexible storage. 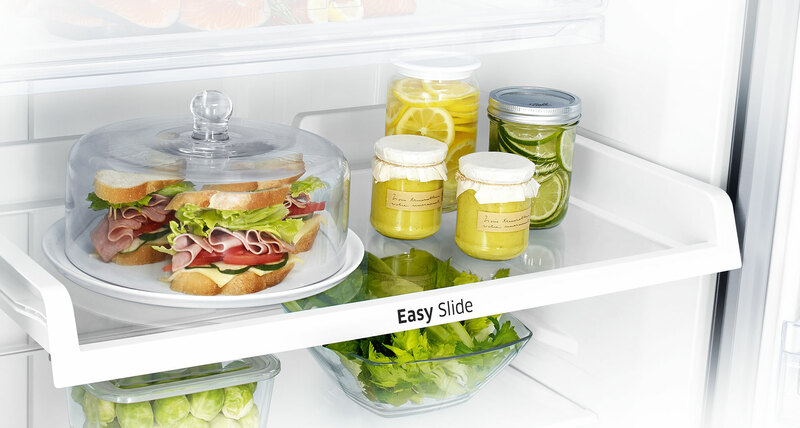 Easily convert your freezer into a fridge to keep all the fresh food you need to store for different seasons or special occasions. 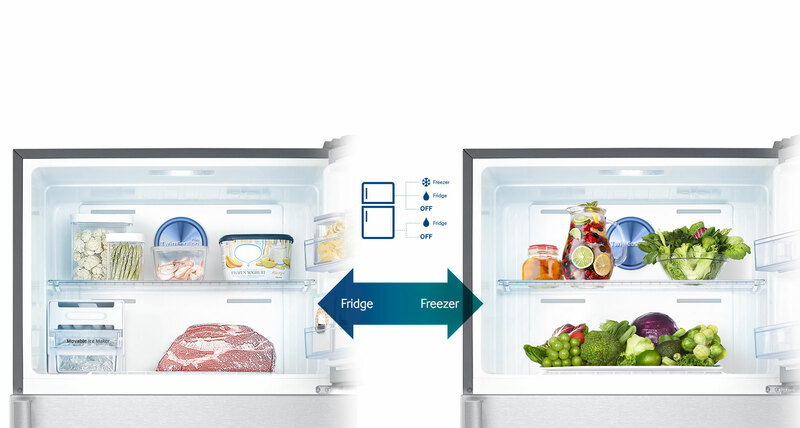 Or just switch to off the fridge compartment when leaving home for a long vacation. 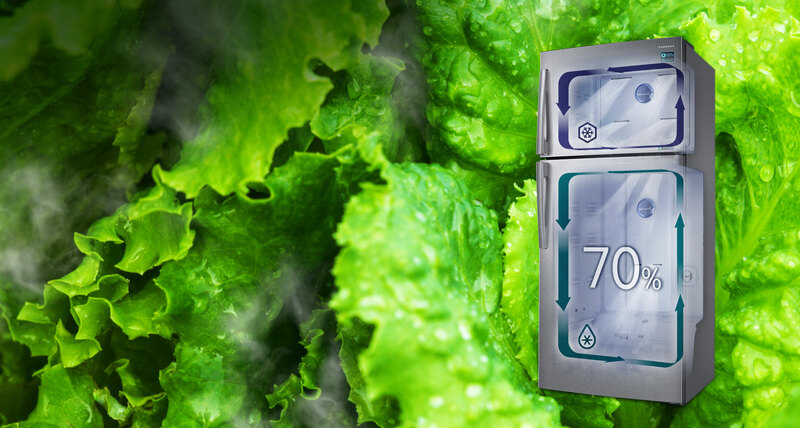 The five modes are Freezer-Fridge, Energy Saving1, Vacation, Fridge Max and Mini mode. 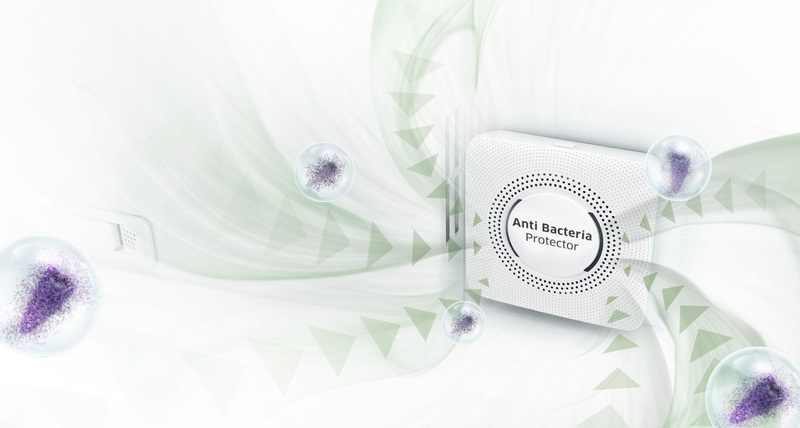 Brighter with better power efficiency. High efficiency LED lighting is slimmer, cooler and more power-efficient than conventional lighting. 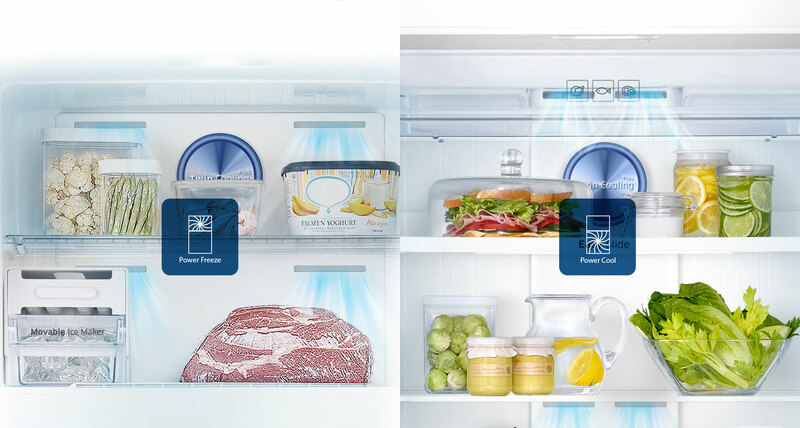 Located on the top and sides, it beautifully and brilliantly illuminates every corner of the Samsung 430L fridge, ensuring better visibility. *Based on internal testing comparing Samsung models RT22SCSW2 and RT43K6037SL.